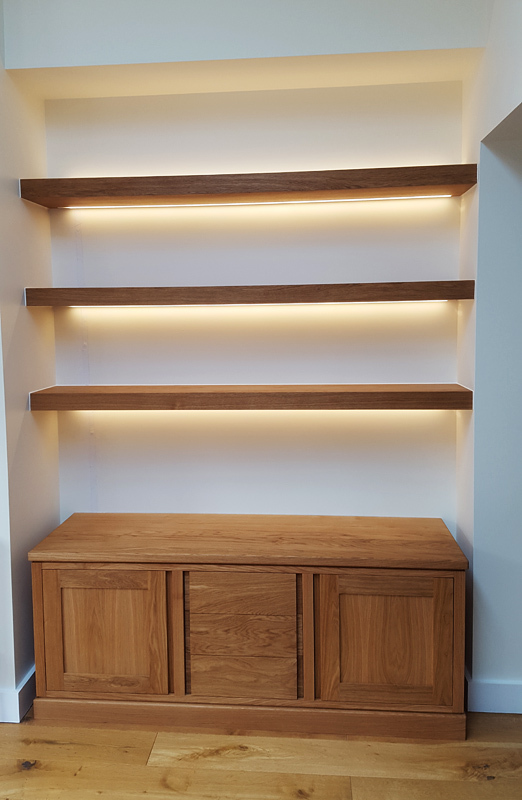 We completed this commission just a few weeks ago now for our clients in Princes Risborough, and here we have some shots of the work in place in their home, and under construction in our workshop. 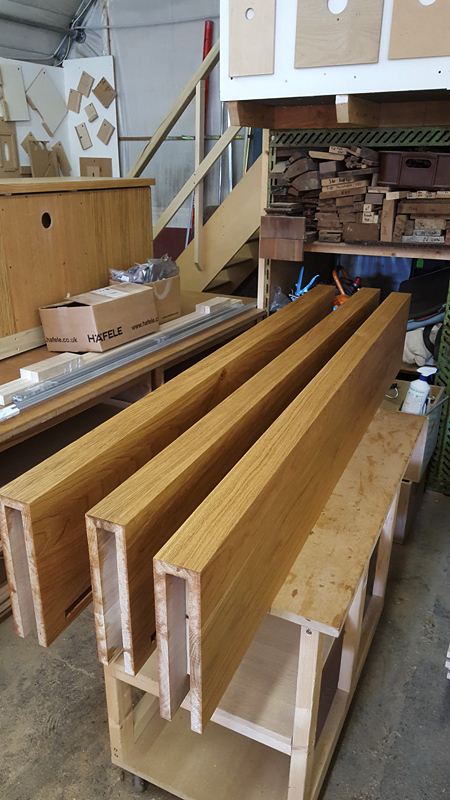 The shelves and sideboard are both made in European and English Oak with an oiled finish. 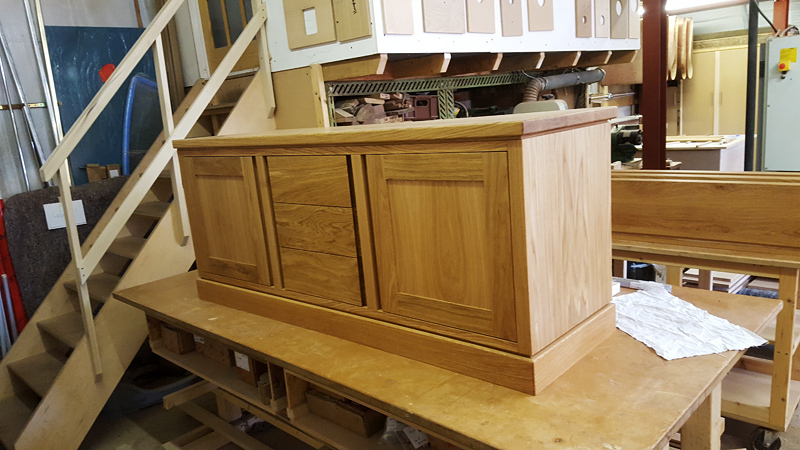 We added finger pull details for the handles, and all the doors and drawers are soft closing. 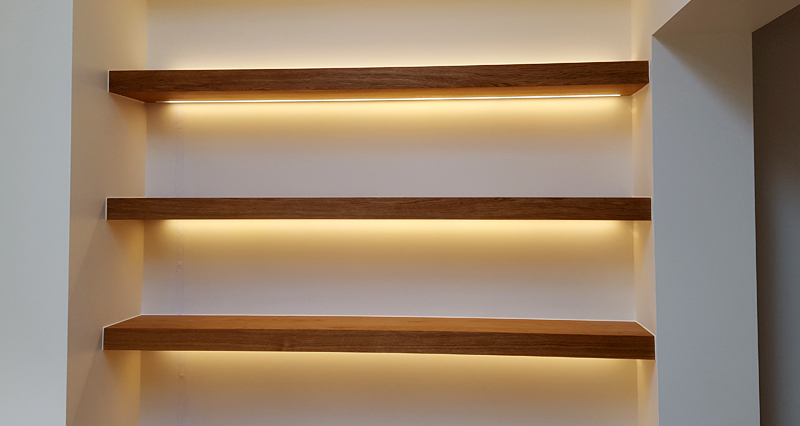 The shelving features LED strip lighting, and we channelled the wiring in the wall and made good, giving a clean and uncluttered look. This is a fairly chunky design showing off the natural timber well, and fits in with many other items in their home. 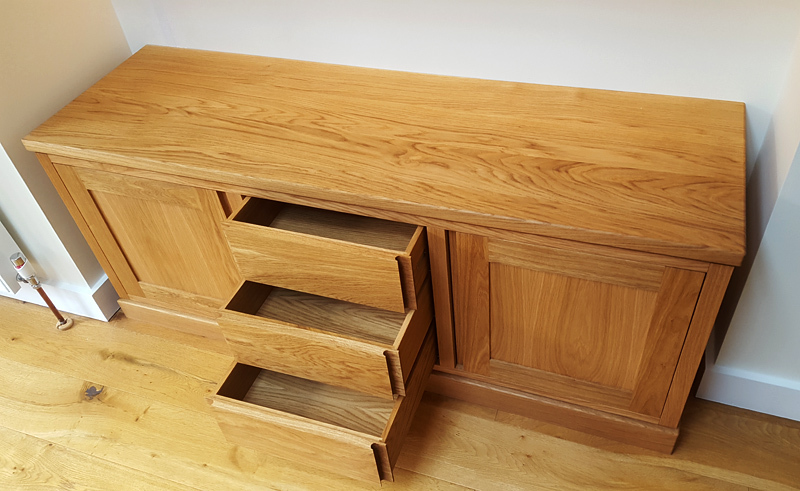 Would you love to have similar bespoke furniture designing and making for your home? 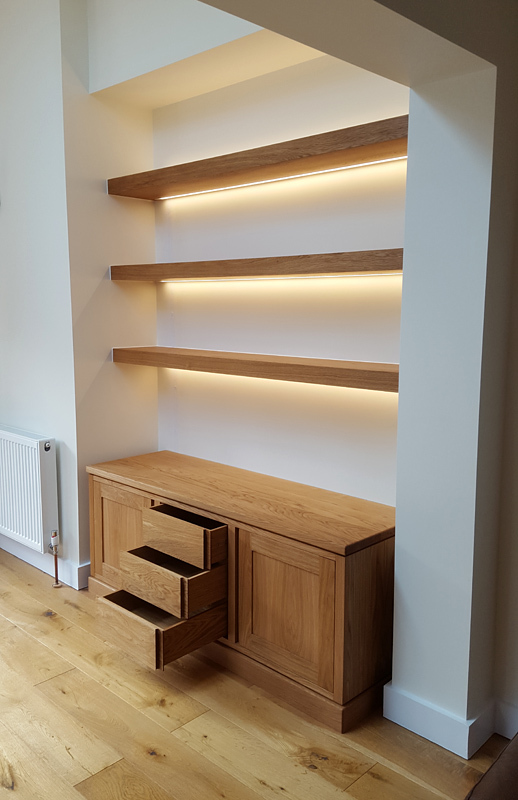 Do contact us at Mark Williamson Furniture if you are considering having any kind of bespoke furniture designed and built for your home. We specialise in bespoke kitchens, and can design, make and fit any style of kitchen that can be imagined. Telephone: Office: 01296 706030 | Mobile: 0775 4409203, or please feel free to email us via the contact page here.